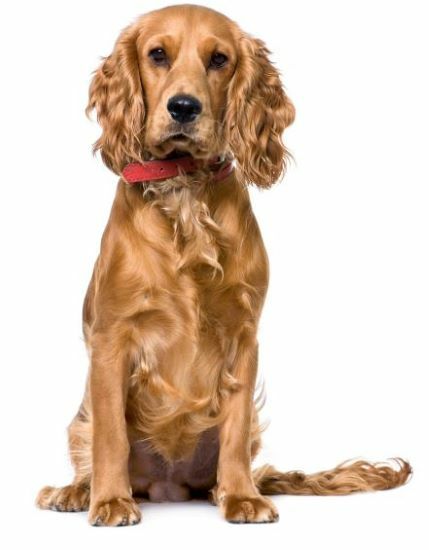 Learn how to keep your Cocker Spaniel healthy by understanding the common dog diseases and illnesses that he may have to deal with during his lifetime. Forewarned is forearmed...keep your dog's health problems at bay! Your Cocker Spaniel may be as fit as a butcher's dog, and that's great, but there's no guarantee he'll always be so fit and healthy. He's likely to be with you for between 10 - 12 wonderful years and many do live longer, up to 15 years, especially where they've lived a healthy lifestyle! And by that I mean they've been fed a healthy diet, with plenty of nutritional variety, had regular exercise and lots of mental stimulation, as well as regular trips to see his vet. However, despite following all of the above, at some point in his life, your pet may have to deal with one or two illnesses. The list is long, but I don't mean to scare-monger. Your pet will NOT have to deal with all of those ailments listed below. These are simply conditions to which he may be susceptible. Immune mediated thrombocytopenia (IMT) is an auto-immune problem which can cause internal and external bleeding, and can lead to anemia and severe lethargy. It can be treated, but relapses are fairly common. Mammary tumours are quite common in unspayed female dogs, but tumours can also be found in male dogs and are much more dangerous. Pancreatitis is where the pancreas no longer functions as it should. Your dog's pancreas releases enzimes which help to digest food and regulate blood sugar levels. When the pancreas isn't working properly, it can lead to diabetes. Ear infections are common in Cockers. This is caused in part by the fact that the design of those wonderful floppy ears don't allow air to circulate around and inside the ear canal. This creates a warm, dank environment which is ideal for breeding bacteria. Follow the link if you'd like to learn more about what could affect your Cocker's ears. Cockers are susceptible to a few eye problems so it's important to keep them clean and protected. However, if your puppy has parents that have been 'clear eye tested' your pup is less likely to suffer from many eye problems. As your Spaniel ages, he may develop cataracts, but the good news is that these can now be surgically removed without too much trauma for your pet. As the saying goes, "We have the technology!" Dry eye (Keratoconjunctivitis sicca) affects the production of tears and if not treated quickly can lead to other eye problems. Learn more about eye problems in dogs, symptoms to look for and how to keep them clean and healthy to make the best of your Cocker's sight. Our Cockers have a tendency to get fat as they get older so it's best to keep treats to an absolute minimum to keep their weight in check. Whilst being overweight in itself won't cause your dog to die, it can cause heart problems, liver disease and even tumors. Your overweight Cocker is also at risk of developing pancreatic health problems, especially if his diet is high in sugar or fats, which can then lead to diabetes. So no feeding scraps from the dinner table! Excess weight will also put extra pressure on your dog's joints which will eventually take its toll and cause him considerable pain. Whilst we're talking about joint problems, I should mention that Cockers are prone to Hip Dysplasia and arthritis so it's important that your dog's diet is wholly nutritious and packed full of all the vitamins necessary to keep his bones strong and healthy. Keep your Cocker's weight stable by making sure he has plenty of exercise with long healthy walks in the countryside (if you can) and let him chase a ball or a Frisbee to get that heart pumping. Grooming can play a bit part in keeping your Cocker Spaniel healthy; grooming is about more than just looking good! Checking your pet's eyes and ears while you're grooming him can often alert you to a potential health problem long before it has a chance to develop into anything serious. Ear infections are fairly common in Cocker's and can be very difficult to clear, especially if the infection wasn't spotted early enough. If you do a quick check every now and then (not just when you're grooming your dog) you'll be able to spot any signs of dog ear infection and be ready to act quickly. Whilst ticks and fleas aren't normally life-threatening, these parasites aren't welcome, either in our homes or on our dogs. Regular grooming sessions will give you the opportunity to see signs of these pesky wee beasties and treat them accordingly. You can almost guarantee that your puppy will be safe from certain hereditary Cocker Spaniel health problems simply by choosing a breeder who has tested the 'parents' for hereditary illnesses and diseases before breeding takes place. However, not all breeders carry out testing so I recommend you ask the right questions before you decide to visit the breeder. 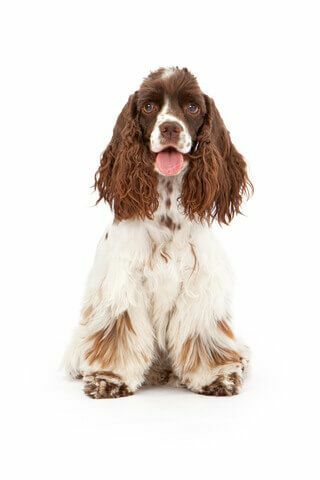 Unfortunately, it's not possible to screen or carry out generic testing for every Cocker Spaniel health problem, but if you'd like to see a glossary of tests that are available, simply follow this link to the Kennel Club. 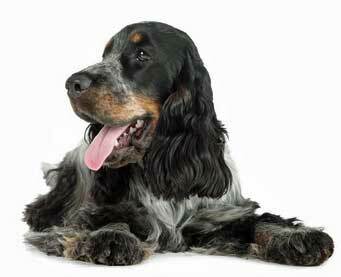 To keep your Cocker Spaniel healthy, make sure he has a nutritious, fully-balanced diet, and lots of regular exercise. Couple that with frequent grooming sessions with thorough checks on his eyes and his ears, and scheduled checks with his vet throughout the year, there's no reason why your Cocker shouldn't live a long and happy life. I'll drink to that...in moderation, of course! If you'd like to learn more about your dog's health you can so so by clicking on this link or the above photo of this poorly Cocker Spaniel recovering from recent surgery.